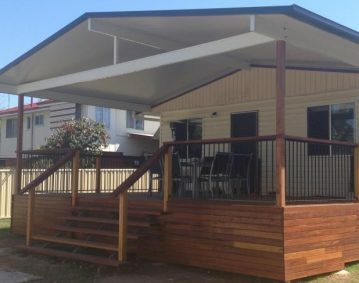 If you want to use your entertaining area year round, it’s time to look at a high quality insulated patios North Brisbane solution. The team at Homeshield Patios & Decks will work together with you to design a tailor-made patio to suit your space and needs. We specialise in creating anything from a shady outdoor retreat to full room enclosures utilising insulated patio roof sheets which can help control the climate throughout the entire year. Call us today on (07) 3216 2799 or enquire online here. An insulated patio will not only make a massive difference to the appearance of your home, but there are other benefits to making this change for the comfort of you and your family. Strong and extremely durable – you can walk on top of it to do maintenance on your house roof. Blocks the summer heat and keeps the inside of your home cooler as well. Quietens the noise of rain. No condensation on the underside of the roof. Cut out area accessible for ease of running wires for outdoor lighting or fans. All the wires are hidden inside the sheet to make a perfect clean ceiling. You can rest comfortably under an insulated patio roof. 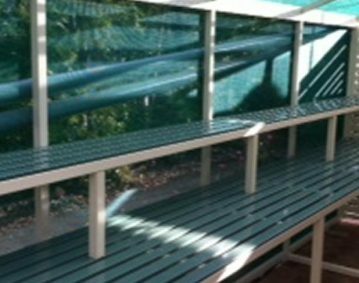 We have had years of experience designing outdoor spaces in and around Brisbane. We build patios to either match or compliment the style of various existing building styles, right down to the same guttering details. Homeshield understands the needs of home owners and our philosophy and approach is to build what you want. So stop dreaming about that patio project and make a start today with Homeshield. Now is the time to organise that new patio or entertainment area! 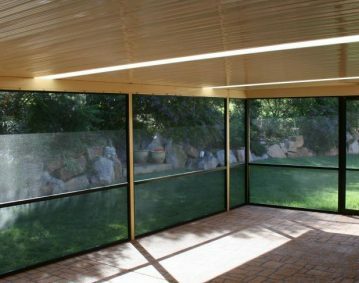 You’ll have a fresh, new, insulated patio that won’t feel the heat of summer.